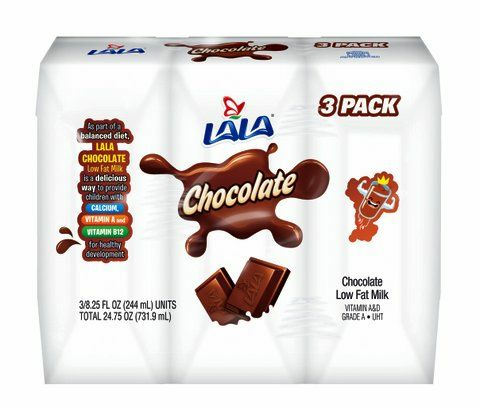 Lala Chocolate Milk is yummy and nourishing to build muscle power of protein, perfect for road trips, camping or just to keep handy on the pantry for its UHT process. Drink it chilled or straight from the packaging. Chocolala Chocolate Milk UHT by LALA will bring you memories of your childhood and the comforting flavor that will keep you going all day. Leche Lala con delicioso sabor a Chocolate adicionada con vitaminas.